Two bits of news caught my eye this week in Ekathimerini, Greece’s equivalent to The New York Times. 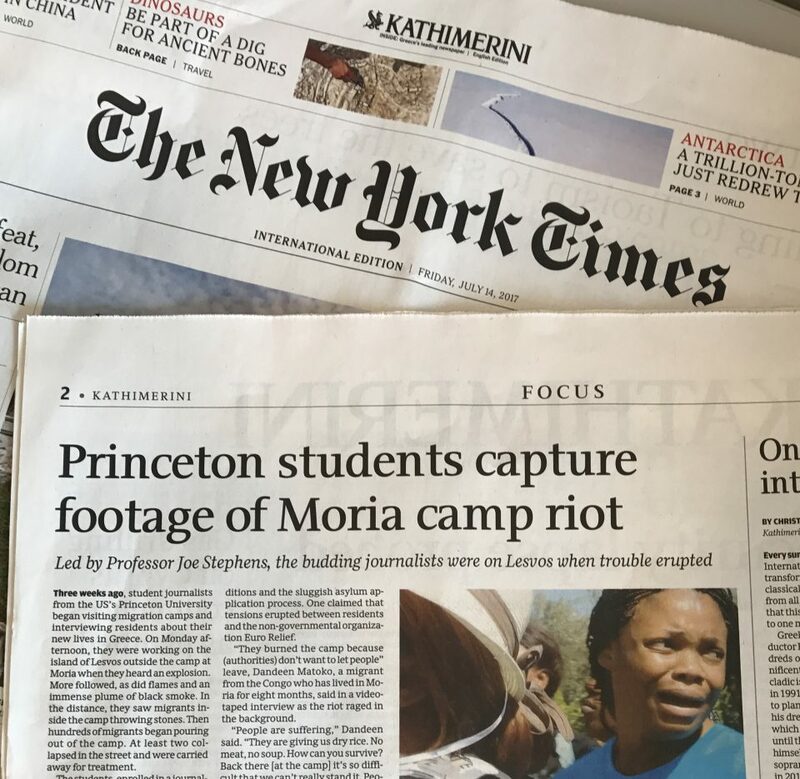 The second is a story about student journalists from Princeton University who happened to be on the Greek island of Lesvos interviewing migrants at one of Greece’s more notorious refugee camps, when fires and rioting broke out inside the camp. 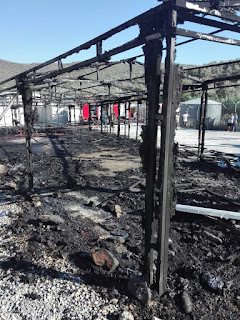 It just so happens that my new Chief Inspector Andreas Kaldis novel, coming in January (An Aegean April), centers upon that very subject, on that very island, at that very camp…down to fires set for the very reason reported in the article. Here are those articles, one on the looming fate of a blatant self-promoter, and the other just simple BSP. 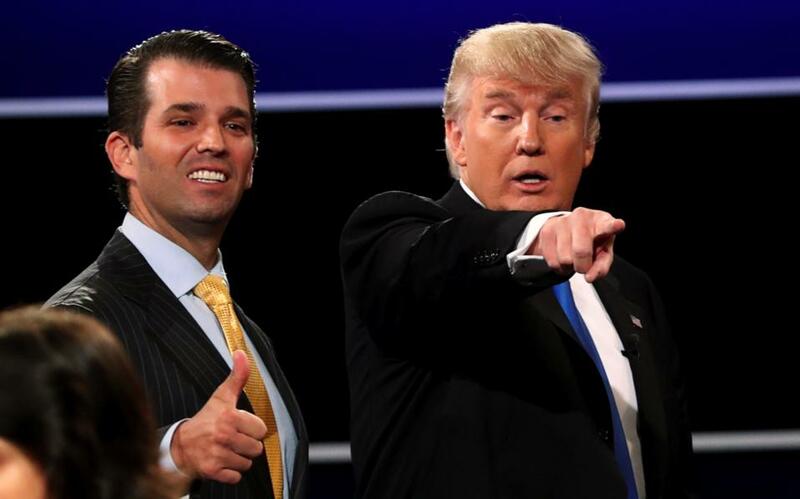 The American political scene will soon resemble the hit television series “House of Cards,” as revelations of contacts and deals between Donald Trump’s election campaign and others keep coming in. Special Counsel Robert Mueller is moving ahead with his investigation and has set his sights on the president’s relations and close associates. The Republican Party leadership is at a loss and time is running out for Congress to vote on any important legislation promised by Trump before the elections. The American “system,” however, is protected by its checks, balances and antibodies. When Trump raised doubts regarding his devotion to NATO, it was Pence who went to the Munich security conference to reassure the European elite. The vice president seems to sense the possibility that he may be called on to replace Trump in case of an “accident.” That is obviously why he spends so much time raising money from traditional backers of the Republican Party. It is, of course, very early to talk of a possible “accident.” The special counsel’s investigation will take months. The Republicans’ insecurity will come to a head just before the congressional elections in November 2018. That is when the president will be abandoned, if he has become toxic by then. As regards us here in Athens, the excessive unpredictability and domestic crisis in Washington raises serious obstacles to finding high-level people to talk with. The bureaucracy is doing its job and Greece, as well as Cyprus, is on the radar. On crucial issues, however, it is most likely that others and not the president will play a decisive role. As we noted, what is happening in the US capital is unprecedented and resembles a television series rather than reality. This is why from Athens to Berlin and Beijing everyone is wondering who is actually running things in Washington. 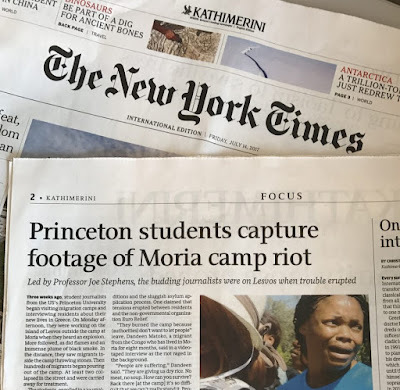 Three weeks ago, student journalists from the US’s Princeton University began visiting migration camps and interviewing residents about their new lives in Greece. On Monday afternoon, they were working on the island of Lesvos outside the camp at Moria when they heard an explosion. 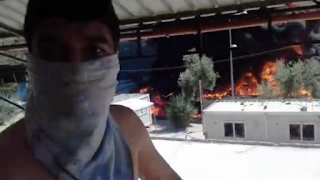 More followed, as did flames and an immense plume of black smoke. In the distance, they saw migrants inside the camp throwing stones. Then hundreds of migrants began pouring out of the camp. At least two collapsed in the street and were carried away for treatment. The students, enrolled in a journalism class on global reporting led by Ferris Professor of Journalism Joe Stephens, realized they were the only reporters at the scene and sprang into action by videotaping, shooting photographs and conducting interviews. They asked fleeing migrants to share images from within the inflamed camp. 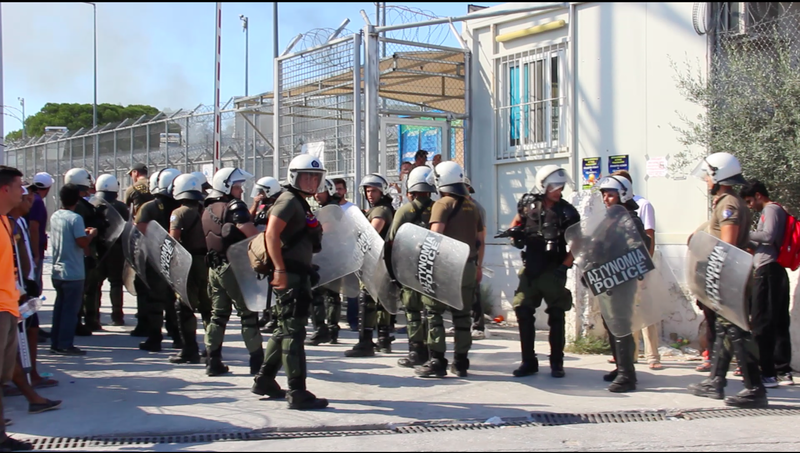 Over previous days, residents of the Moria camp had complained in interviews about what they described as bad food, crowded conditions, violence at night and their inability to plan their futures because of their indeterminate status in Greece. Some residents reportedly lacked medication and were sleeping on the ground. As the riot roiled, some migrants told the students that residents set the blaze to protest the dismal conditions and the sluggish asylum application process. One claimed that tensions erupted between residents and the non-governmental organization Euro Relief. 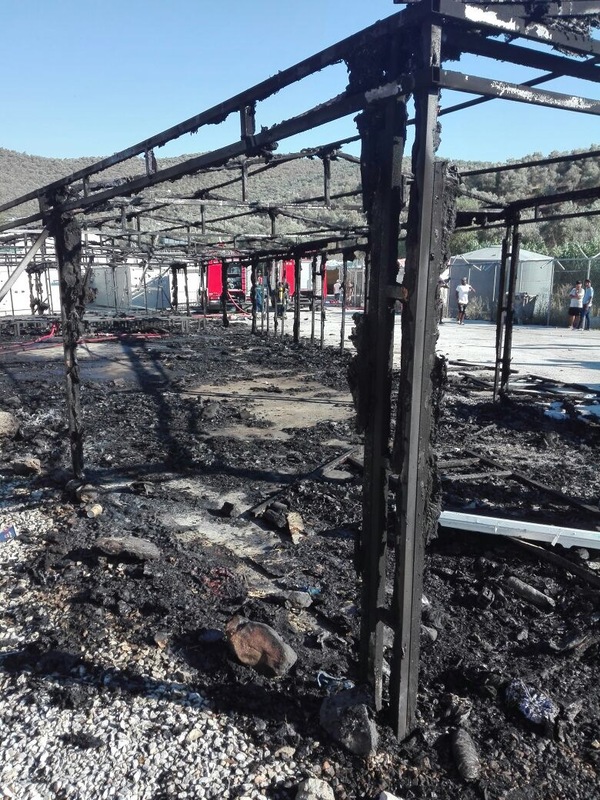 “They burned the camp because (authorities) don’t want to let people” leave, Dandeen Matoko, a migrant from the Congo who has lived in Moria for eight months, said in a videotaped interview as the riot raged in the background. “People are suffering,” Dandeen said. “They are giving us dry rice. No meat, no soup. How can you survive? Back there [at the camp] it’s so difficult that we can’t really stand it. People are so tired of this place, they don’t want to live,” he said. At one point, a squad of uniformed men bearing clear riot shields marched into the camp. 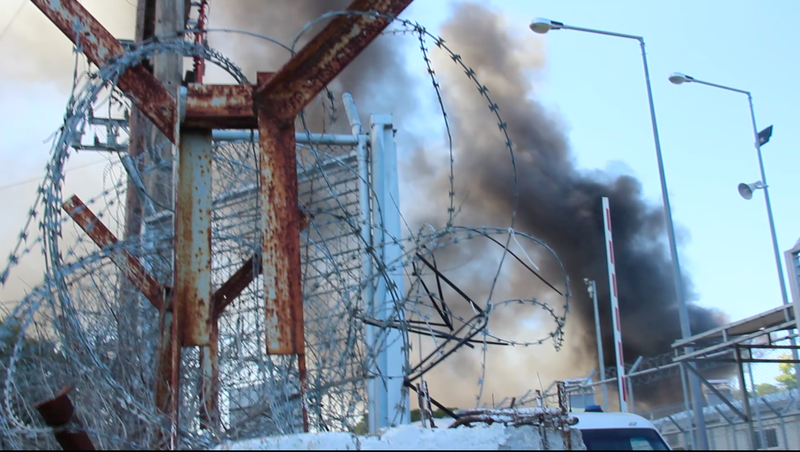 Fire trucks approached the gates of the camp, which is circled by coiled razor wire, but did not enter. One migrant collapsed just outside the gate and others splashed her face with water. A man groaned on the ground before being carried away down a two-lane access road. The camp houses more than 3,000 refugees, well beyond the capacity it was built to hold. The Princeton journalists on the scene were Talya Nevins, Alice Maiden and Jack Lohmann. Their work was supported by student journalists Ethan Sterenfeld, Chiara Ficarelli and Andie Ayala, who helped with reporting and editing. 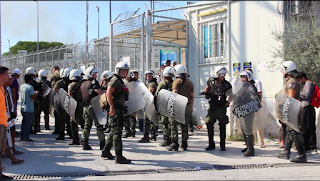 Their work at Moria was underwritten by Princeton University’s Global Reporting initiative, under the direction of Professor Stephens, a veteran investigative reporter for The Washington Post. Students will be reporting in Greece for two more weeks, and their work will be published at commons.princeton.edu/globalreporting2017. And, yes, sadly there’s a third story in the news about an American. 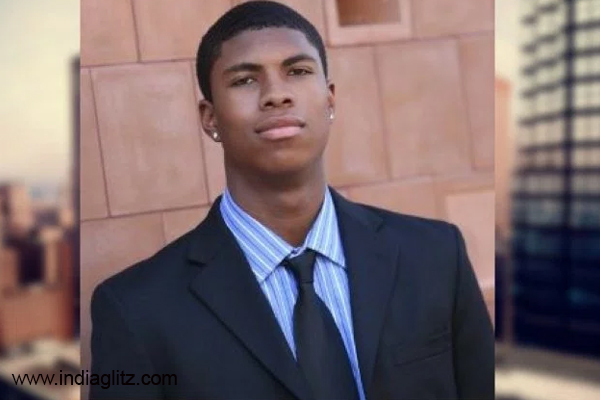 Twenty-two-year-old Austin, Texas resident and recent University of Arizona graduate, Bakari Henderson, was tragically beaten to death outside a bar on the Ionian island of Zakynthos by a pack of men. Events are still unfolding, so I’ve chosen not to write about it just yet, but rather simply offer my prayers for his soul, and ours. News. Sigh. The only thing vaguely resembling good news is the slight possibility that the Trump debacle MIGHT be over in another year and a half. Or it might not. And either way, the bell will ring for years to come... As for the rest, some days it's all I can do to shake my head in dismay. Most other days, I manage a larger perspective that sees some good coming from much misery. Little comfort for the miserable. The time for head shaking has passed, my friend. Now it's either rock and roll or accept and slink away. Out of respect for your desire for anonymity, Unknown, I shall not refer to you by name, dear F.
As I trust you understand, although I may disagree with you on matters Trump, I respect your right to hold your beliefs. Thankfully there is a special prosecutor out there who hopefully will get to the bottom of it all for our nation's sake. As for your observation on the amounts collected from the EU by Greece to "care for the migrants," Greece only wishes you were correct. You evidently are confusing the amounts received by Greece with the six billion the EU agreed to give to Turkey in exchange for its agreeing to contain migrants away from EU shores. Greece was allocated but one billion euros to care for the million plus souls who've passed through (or remain) in this country of eleven million, and of that one billion euros, only three-hundred million has actually been disbursed to Greece--and not for structural investment but emergency funding. Any amounts paid by the EU in excess of that earmarked for refugees in Greece, went directly to NGOs (non-government organizations) functioning independent of the Greek government. Once again, your writing, and inspector Kaldis, prove to be prophetic. Thanks, David. Sometimes it downright blows my mind. I thought that most of the funds disbursed to Greece from the EU went to creditors for prior debt, not even for government services, jobs or food or medical programs. I am sick over the horrid beating and killing of Bakari Henderson. From all I've read, he wanted to take a selfie with a waitress. He and his friends left the bar and were followed and he was brutally beaten and thrown against a car and he died. Sadly, it sounds reminiscent of the brutal murder of Emmett Till in Mississippin in 1955 by several racists who did not go to jail. This act is on videotape. I saw men following Henderson and beating him at the Washington Post site on Friday. It's horrible, even more so if racism was the motivating factor. The men who beat him are white. It's a horror. Hope they are tried and convicted and that some people on the island remember brotherhood and sisterhood and the Golden Rule of "Do unto others as you would have them do unto you," and "Treat thy neighbor as thyself." I hope none of the assailants are part of Golden Dawn or a group like that. But it is like some of the worst racustbehavior over here. Kathy, the moneys I referred to are not from bailout funds, but amounts the EU gives--or rather promised to give--to care for the refugees. Think of Greece as the EU's "human filter trap" for keeping refugees out of the rest of Western Europe...now if only the EU would pay for their humane treatment and rapid processing. As for the Henderson tragedy, there's a lot of guessing at the underlying motives, but of the alleged eight or nine assailants, only one is Greek, the other are Serbian (one with British citizenship). There has been no suggestion I've read that Golden Dawn (Greece's Nazi political party) is involved. Agree on point one about "if only the EU would pay for their humane treatment and rapid processing." And I did read that most of Henderson's attackers are Serbian. But racism could very well be a motive and anger that Henderson was talking to a restaurant employee. The video clearly shows several men chasing him out of a restaurant/bar and beating him up. People inside the restaurant were upset watching the attack. Hopefully, the motives will come out and the assailants tried and convicted. Racist violence is never acceptable. I say this on a day when I see that Macron said that the Vichy government was responsible for deporting several thousand Jewish people, 4,000 of them children, off to their sure deaths. I am glad he said it just like that when the National Front has denied that the government did this. Yes, Kathy, it very well could be racism, or some other kind of "ism." I too have seen the video. It's chilling. There is a reason the bar had a bouncer, for that area of the island is known for wild behavior. We just have to wait for the facts to play out, though it's hard to imagine what can possibly justify what the video showed. So much is contained in this blog post that I don't know where to start. 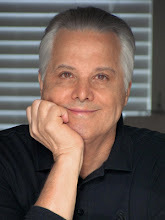 Maybe I should begin with the good news of the upcoming book, and that you have, as before, put your finger directly on a particular situation in Greece - this time the migrant crisis. 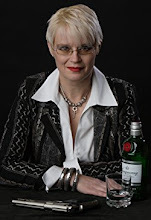 Can't wait to read your insights, along with a great story. Trump? All I can say is this too shall pass, and remind myself that the USA is a democracy and that although damage is being done we have it in us to recover, and recover we will. Bakari was from our home city, which is gripped by the horror of it as are we here on the Pelion. You correctly point out that Serbs are involved, and we can attest through personal experience in Serbia that the country has no love of America and her people. Hi Cathy. Glad to see you were able to overcome your Internet problems and post your comment! Yes, a lot is surely going on. Trump is Trump and will continue to be Trump. Always has been always will be the same. Americans who are only now truly learning about him will have to decide how they feel about that and act accordingly when next given the right to vote. Period, end of story. That whole Bakari Henderson story is raising long simmering thoughts about ethnic stereotypes on all sides of the tragedy. I recently had someone tell me how US pilots in WWII forced to bailout over Yugoslavia were told to take a suicide pill rather than risk the horrors of capture. That comment, whether true or not, was meant to indicate a propensity for behavior seventy-five years later!! And we wonder what benefits the EU has brought to the world. Imagine how Europe would be if nationalistic bents and prejudices once again ruled the continent unchecked. An Aegean April sounds good. I"ll look for it at the library. Well, the Greek people have been pretty exemplary in helping desperate migrants. Wish all of Europe were so generous. ANd, of course, that ultra-nationalism and xenophobia were banished from the continent forever. It seems like Marine Le Pen and her party have had significant losses. This is good. However, the bigotry showed against Bakari Henderson is awful no matter who perpetrated the fatal beating. Nine or 10 men ran after him and attacked him. No rational reason for this. Ditto on all points, Kathy. I wonder if there will be justice for Bakari Henderson.